Cambridge Brewing Company was the brewery I was most looking forward to sampling during my early December trip to Boston. I was able to try 4 different CBC beers on tap while in Boston—Mr. Toad’s Wild Ride, Soleil d’Hiver, Hop X, and the Audacity of Hops. 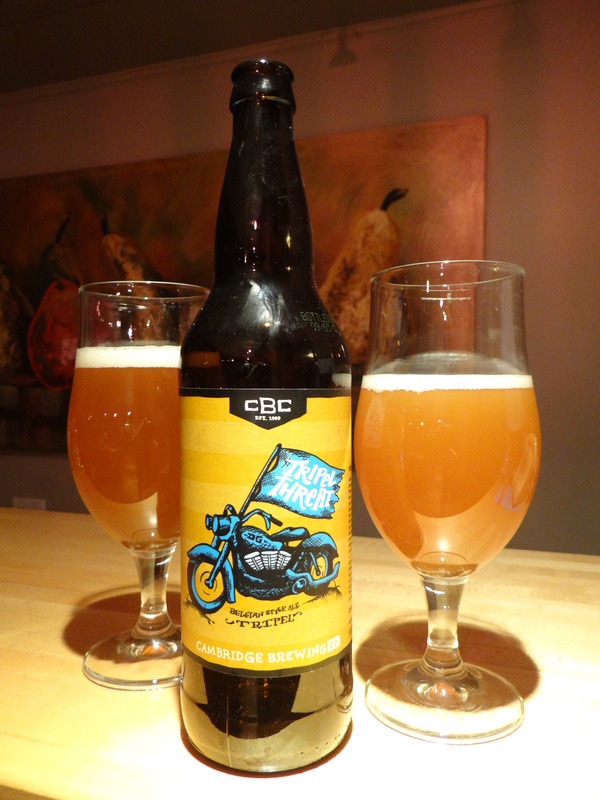 Here I review of the one bottle of CBC beer that I brought back from Boston, Tripel Threat, which ccording to the bottle was first made in 1990 and thus is the first American made Belgian-style ale. This beer has a cloudy orange-yellow color with about 1 finger of white head. The nose is Belgian yeast and candi sugar with some fruity esters. Chalky Belgian yeasts are at the fore of the taste as well, complimented by the expected fruity esters. The hops peek through briefly at the finish. On the whole it is a fairly sweet beer with a thick, almost syrupy mouthfeel. It’s borderline cloying, although the 10% abv is well hidden. The tripel is a hard style to pull off and Cambridge Brewing Co have done a decent job here. It has the characteristic yeasty/fruity flavor profile, but it is a little too syrupy and sweet for my tastes. I think bottle conditioning leading to more carbonation would probably help to lighten up this beer.